Sep 24, 2016 | Posted by O.J. Dr. Huerter and the staff are very professional, detailed and kind. Since my 11 year old has received her braces, they have been supportive and encouraging. They have made the process of getting braces extremely smooth, and I would highly recommend this orthodontics office. Apr 23, 2016 | Posted by C.B. I just love how friendly everyone is. From the time you walk in the door, to the time you leave there is always a happy smile. Feb 5, 2016 | Posted by D.B. When I got my braces off and looked in the mirror I could never be more satisfied with my teeth! Everybody at Huerter Orthodontics is so nice and they do a great job! Sep 6, 2015 | Posted by R.R. I just got my braces off and they look beautiful! Dr. Jerry did such a wonderful job! The ladies that work there are so sweet! We love Huerter Ortho!! Aug 19, 2015 | Posted by J.L. Dr. Jerry is the Best! And the ladies in the office are super nice! 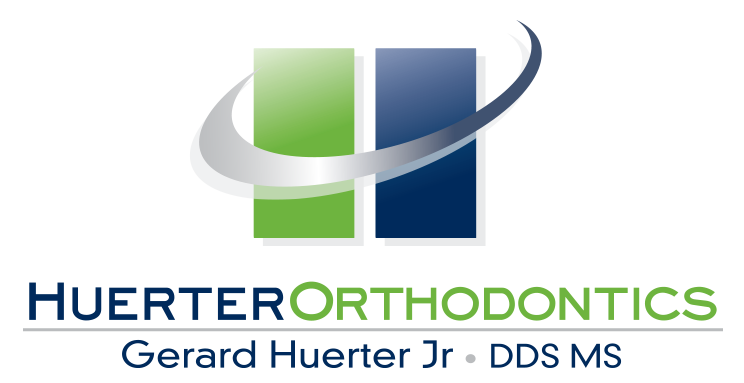 I would suggest anyone adult or child needing an Orthodontist see the friendly, knowledgeable staff at Huerter Orthodontics! Feb 26, 2015 | Posted by D.A. My name is Danielle my daughter and I are currently wearing braces from Dr. Huerters' office and our experience during treatment has been nothing less than enjoyable. The reason that decided to come to this office was in part due to the same wonderful service that I received in earlier years from his father Dr. Huerter Sr. The offices are run very professionally and efficiently. I will be highly recommending them to my friends and family. Thank you. Sep 14, 2012 | Posted by J.B.
Dr. Huerter and the entire staff is friendly and very attentive to a child's needs! What a wonderful first impression they left on us, as we begin the journey of orthodontics. Thanks for being so great! Aug 15, 2012 | Posted by E.M. I would always recommend this orthodontics. It is so nice to have people around that actually knows what they are doing. They dont't have long waiting time and at that I hardly ever waited never longer than 5 minutes thats for sure. Very nice and clean place which is great. Feb 12, 2019 | Posted by M.V. I love the staff, they are very friendly! I love Dr. Huerter, he takes great care of all his patients! I understood everything they told me, I followed all the directions I was told. I got my braces put on at 9:30 this morning and I am feeling great and looking great! I feel really comfortable to smile now. Thank you staff at Huerter Orthodontics. I really do appreciate you guys and your loving personalities. I love it! Jan 18, 2019 | Posted by J.C. Thank you for the outstanding service you have kindly provided me. Everyone always carriers a smile and friendly while I'm at my appointment. Most of all, the appointments done completed promptly whether I am early or late. The smile I have is magnificent, which goes along with my personality of course! Thanks again for your time, patience and service. You guys are great at what you do! Jan 18, 2019 | Posted by S.M. Friendly and quick. For a person who hated going to the dentist I am not dreading my next cleaning! Extremely nice with everyone I came in contact with. Everything was explained throughout my first visit. Jan 15, 2019 | Posted by L.B. I would personally like to thank Huerter orthodontics for fixing my over bite and straightening my teeth. The staff there are so nice and friendly and they explain every thing so well. THANK YOU HUERTER ORTODONTICS!!!! !